Could Tim ‘Leave-It’ Be Elected Dog Catcher? With full apologies to the honorable profession of dog-catcher for comparing Vancouvers worst ever Mayor to them, I read with great interest our local version of Pravda, the Columbian as they continue to hawk ‘Liar’ Leavitt’s chances of being elected to higher office, namely to the seat of 3rd congressional district representative, now held by the equally inept Jaime Herrera Beutler. Both of these marvels of modern politics have accidently stumbled upon doing some things right, but for the most part, are mere puppets of unseen handlers directing what they do while in office. 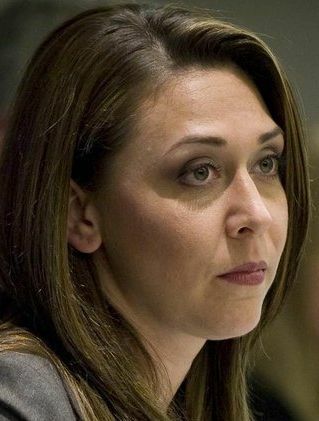 Herrera Beutler’s less than stellar political career is diligently laid out at the link, so no need for me to rehash how, in spite of a youthful cuteness, she hasn’t a clue. No, the focus here will be on Tim ‘Leave-It’s’ less than stellar performance as Mayor of Vancouver, Washington ever since openly lying his way into office, also seen here. As one man who has witnessed war, armed conflict or kinetic military action, whatever you wish to call it up close and personal, I question the necessity of all actions that might place our Troops in harm’s way. From the first bomb dropping, several in congress from both parties questioned the necessity of a third war at this time, which drew the label of it isn’t a war but a “kinetic military action” from the administration. Call it what you will, people are dying from the use of munitions from opposing sides in battle. 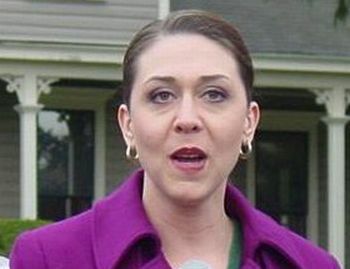 I began looking for any word from our newly installed congresscritter Jaime Herrera-Beutler the same day the “Kinetic Military Action” commenced and during the week as well. Knowing she was excessively weak in the area of foreign policy, just one of several reasons why I opposed her candidacy last year, I was prepared to give-up on her taking any coherent stand on this issue. If there was ever any doubt that this last election was only about Jaime Herrera and not what might be best for the 3rd Congressional District, Herrera’s attitude over drawing her office back home in Washington D.C. as well as her sorority antics over the selection today should put that at rest. A photo taken by the AP’s Harry Hamburg captured Herrera’s juvenile antics over drawing what she must consider a prime office location. An earlier article appearing in the Columbian, Herrera hits the Hill has Herrera expressing concern over the office she might draw. “I’m hoping the people of Southwest Washington who come to see me, can find me. It may be a closet,” she is quoted as saying. Apparently she can put that dire concern to rest, judging by the AP Photos taken. Three years after parachuting in to Clark County specifically to take the legislative seat vacated by Richard Curtis and Jaime Herrera, newly elected Republican to the House of Representatives hopped onto a red eye back home to Washington D.C. where she will undoubtedly continue following the instructions of fellow Republican Cathy McMorris Rodgers of Washington State 5th Congressional District. That Herrera accomplished absolutely nothing during her brief grooming period in Olympia no longer matters as the establishment GOP pulled out all of the dirty tricks and underhanded tactics to ensure no other Republican would take the nomination away from her. Several times I have expressed my dismay and extreme disappointment with many sitting on the Board of the Clark County Republican Party, seeing that in spite of their claims of being ‘Christian,’ they are little more than just another group of corrupt political bosses. Hook or crook though, they ensured the one they wanted long ago made it, qualities and abilities be damned, she once lived in Clark County, the deciding factor expressed to me personally by many sitting on the Clark GOP Board. Back home in D.C. this week and going through whatever a freshmen “orientation” is, Herrera’s main concern expressed to the Columbian seemed to be the location and size of the office she will draw saying, “I’m hoping the people of Southwest Washington who come to see me, can find me,” showing yet again that there is not an ounce of humility in her soul. When Does The Sleazy Campaigning Stop? I’ve said it before and I continue to say it, the campaign ongoing for the 3rd Congressional District seat is the sleaziest I have seen in all my years. I cannot fault the Democrats as they selected a strong contender in Denny Heck and got behind him fairly quick, save a few diehard supporters of liberal Craig Pridemore. No, it has been completely on the Republican side with the sleaze thrown at one candidate only, David Castillo. With just two days until mail-in ballots are due to be postmarked and counted, it continues. 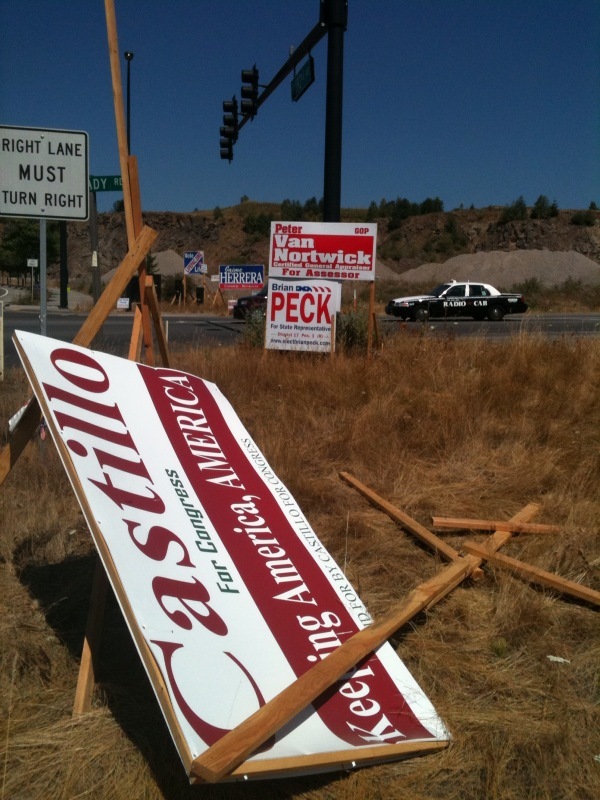 I called the Vancouver Castillo campaign office this afternoon to see just how things were going and was met by a very distraught and frustrated campaign manager who related to me how some time over night, several more Castillo campaign signs were completely destroyed. Herrera signs were left unscathed and in a couple locations, Hedrick signs were placed nearby, also unscathed. As the cowards who slink around under the cover of darkness know, no one knows for sure who they are and little will ever be done by the authorities. That is why they operate in such a cowardly fashion. They fail to realize that they are denying others of their constitutional right to campaign and exercise free speech in campaigning. Like we have seen all too many times in our history, the constitution only applies to their rights, not the rights of others. While to some degree this happens during every election, it was elevated to new heights this year shortly after the candidate filing date passed. We have been treated to false bravado and bogus polling showing Castillo dead last in the race. Yet, he remains the target of one campaign especially whose candidate goes on the air to whine about being attacked when no such attacks have occurred. If you are not aware of what I am saying, listen to the Thursday, August 12 broadcast of the OPB radio program Think Out Loud when David Hedrick is asked about some legal problems his father in Florida is accused of. While I find such accusations unrelated and off limits to this campaign, Hedrick’s initial reply was quite suspicious. His words were, “one that information you got is inaccurate. It’s probably from another blogger. We’ve had tons of smear campaigns here.” Listening to him speak, it was almost sounded as if he was expecting such a question. I have yet to read or see any mention of anything remotely related to the accusation on any blog or media, other than the OPB article that was printed shortly after the broadcast and later in the Columbian. Did Hedrick set up his own smear to deflect attention and try to draw sympathy? A check of Central Florida newspapers after the broadcast also brought back no information from their archives. So, how was it that the OPB moderator was able to “read” of this and where did he read of it? Legal documents are cited, so someone tipped them off. Would Hedrick or one of his people plant this information so he may play victim and blame others for smearing him? Your guess is as good as mine. From bogus allegations all across the Columbian’s comments sections of Castillo starting fights in parking lots to bogus polling showing Castillo dead last and Hedrick out in front, David Castillo has been the steady target. Like those pesky little dogs always yapping and nipping at his ankles, supporters of Hedrick’s have labeled David Castillo everything from an “anchor baby” to a Bush lackey. What I find to be very telling and a great deal curious is the complete silence of the other GOP candidate, Jaime Herrera, the establishment favorite with strong party backing. While this bogus poll Hedrick embraced and advertised show he and her in a statistical tie, they act like old friends, while always snipping at Castillo’s ankles. They don’t compete with each other in this race, but send out Hedrick supporters, like attack dogs to go after the one they claim is dead last in it all. What makes it even more curious is knowing that the GOP chair of Pacific County, a strong Herrera supporter, offered to pay the over $1700.00 filing fee to former candidate Chris Boyd to encourage him not to drop out. Isn’t that generous of a county party chair that supports an opponent running against David Castillo? It does beg the question whether or not such an offer was also made to another, but we will never know for a fact one way or the other. Most suspicious in that never to be answered question is that the attacks against Castillo from supporters of Hedrick were elevated to levels not seen before beginning shortly after the candidate filing date passed. And, Herrera remains untouched and says nothing about any of it, other than how great she and Hedrick get along. 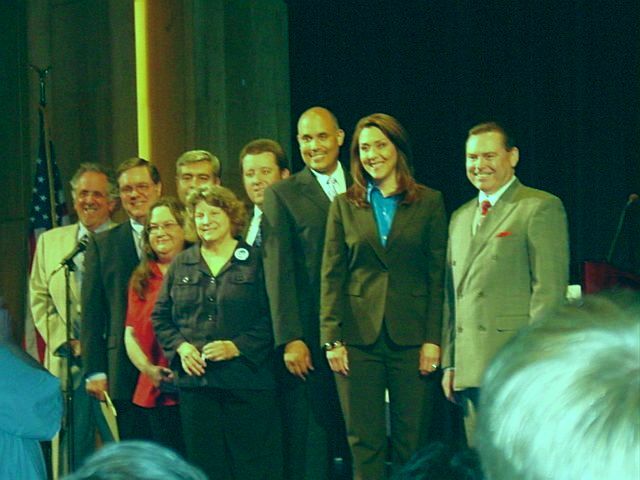 It is almost as if some sort of deal was made between the supposed front runners in a statistical tie, according to the bogus poll Hedrick and his supporters swear by, to run interference and be political hit men against supposed dead last candidate Castillo, while Jaime Herrera acts sweet as pie in it all and innocent as driven snow. And now, two days before ballots are due, unnamed cowards sneak around during darkness to destroy expensive campaign signs of Castillo while leaving their guys alone and placing them where Castillo’s were. Unfortunately for these cowards, voters throughout the 3rd district are smarter than this. I am confident they will see through this charade and vote accordingly. Castillo supporters, you can counter this cowardly ankle biting by standing up and making your voices heard. Call Castillo’s campaign office and offer to help sign wave or man the phone banks. Gather neighbors and friends together for an impromptu support rally. Show this small band of malcontents their tactics are not working and come Wednesday morning, they will be little more than a bad memory. If we wish to clean up politics, it’s up to us. No one will do it for us. And we can spend the next two days showing these sleaze merchants they have failed. Contact Michelle Miller at Michelle@castilloforcongress.com and offer to join in and let’s vote for the candidate we want, not what we are being told we should have. It’s been a very heated competition for the nominations for the top two in our primary election this year. Probably the most heated I can recall, getting very nasty actually. Oh, the Democrats are off the hook this year as there is little doubt that their candidate, Denny Heck, will easily win one of the coveted slots. It’s the Republicans that have gotten down and dirty with supporters of the candidates at times seeming ready to come to blows and dirty tricks galore. We have 3 candidates running, David Castillo, Jamie Herrera and YouTube figure, David W. Hedrick, known for his bombastic confrontation against Brian Baird lasting some 3 minutes almost a year ago. 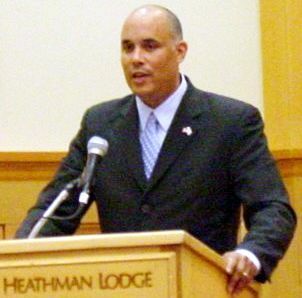 Herrera leads in the funds raised. Castillo outshines all in endorsements received, including every major newspaper that covers the 3rd Congressional District and makes primary endorsements. Hedrick has remained dragging the rear while making some noise, but basically going nowhere, gaining only some fringe support. All that seemed to change suddenly, very suddenly in fact with Hedrick recently touting some poll no one has ever heard of showing him out in front of Herrera and with Castillo so far down it would be physically impossible for him to make up the difference in time for the August 17 vote. Needless to say, eyebrows of people who pay attention were raised as this just seemed far too unlikely. Further raising many more eyebrows is the vitriolic assaults launched against the supposedly last place candidate, Castillo, by many Hedrick supporters on forums, blogs and in the Columbian’s comments sections. You may see what I mean by scrolling through comments found HERE and HERE, just for 2. It is highly unlikely that supporters of a real leading candidate would so vehemently attack and belittle a real last place candidate, while ignoring the third candidate that is supposedly in a statistical tie with that “leading Republican” candidate. Some light was shed on a possible answer this past Wednesday, August 4 on KPAM 860’s Victoria Taft program, when a caller named ‘Jason’ called in expressing the same disbelief many others have and identified himself as an individual familiar with computer forensics and searching out questionable computer sites for the Attorney General’s office in the past. Questioning the validity of this poll like many of us have and also being a “poll junky,” he looked closely at the poll and saw, amongst several red flags, just how unreliable their methodology was in that it is an internet poll with no safeguards to prevent selectees of the poll from sending the link on to others to participate in. He laid out the steps he took in discovering an unlikely coincidence in that the polls host site and domain registrar were shared by FreedomsAnswer.com, a company whose sole ownership is listed as belonging to Washington 3rd Congressional District Candidate, David W. Hedrick. Realizing that although an unlikely coincidence, it was still possible, he looked a bit deeper and was shocked to discover that the IP address of the poll was on the same block as the sites owned by Hedrick. Admittedly, I am no computer sleuth or techie sort. All of that goes right over my head, much as it does most others today. But to those who dabble in such computer research, it makes complete sense. Therefore, I had the full 7-page report reviewed by a person I am acquainted with online who does understand such computer lingo. Any that choose to read the report ‘Jason’ submitted, I would only hope you have your own computer techie’s review it for themselves and your peace of mind instead of just fuming. Something just doesn’t add up with this campaign and it stinks to high heaven. As I’ve said before, it isn’t unusual for a newspaper to make an endorsement and get it wrong, not endorsing who the people over all vote for. It is highly unusual that four major newspapers of different ideological, political, regional and historical backgrounds from within the same congressional district to agree on one candidate and that candidate be polled dead last in any legitimate poll. Add to that the vitriol thrown at David Castillo by supporters of David Hedrick, who proclaims in ads that he is “the leading Republican” in the race, while completely ignoring Jaime Herrera, although she is in a statistical tie for the nomination Hedrick claims is his, just doesn’t make sense. Something very strange is definitely going on in the race to replace retiring Brian Baird in the 3rd Congressional District. Why should we care whether the poll is accurate and/or credible? Many people don’t want to “waste” their vote. Dyed-in-the-wool Republicans don’t want to see their candidate beaten in the general election. They’ll often go with who could win come November. If Hedrick shows such promise now, it certainly helps sway more votes his way. Hedrick said, “It’s not my job to vet polls. I don’t have time to study them.” Is that how he would conduct himself in Washington, D.C.? Sorry, paid site, no link available. Newly seated, Jaime Herrera has obtained her wish of beginning her career as a professional politician. Her dishonesty is open for all to see, if they look. While nothing will change the outcome of the election, seeing the past chair of the Clark County GOP, Ryan Hart, a man who chaired the county party that strongly promoted her in a contested race against Republican candidates, a very unethical move, has been named as her District Director explains a lot. Cronyism, corruption and dishonesty, the mark of a true career politician. 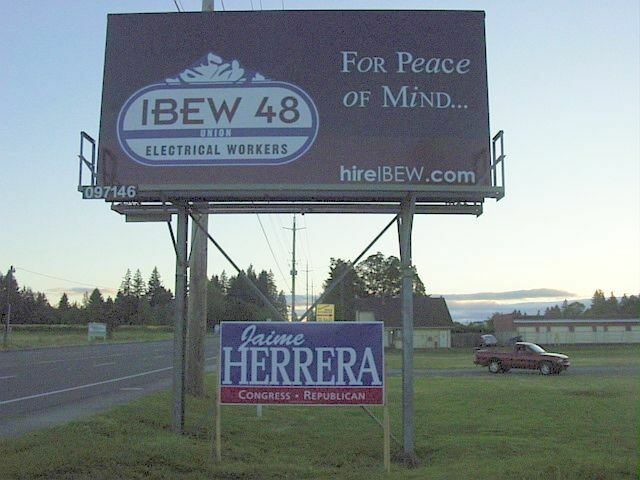 Jaime Herrera, the Republican establishment backed candidate for Washington State 3rd Congressional District, has put together her first ever TV Ad. Jaime Herrera for Congress TV Ad — “Trust” from Herrera Campaign on Vimeo. A very nicely created ad that paints her in a very positive light. However, even though she says “Put trust in people,” it is common knowledge that such ads are designed to enlist trust in her in order that voters will send her back to Washington D.C., where she spent many years before returning to gain the 18th legislative district seat she will now be vacating. Trust is a very fragile thing and hard to gain. It is something that must be earned, regardless of who desires it and the main way someone earns it is to be up front and honest with people, especially voters. Has Jaime been being honest with us? You should judge for yourself. How Petty Will Herrera Become? Since it is more than obvious that Jaime Herrera, vying for the 3rd Congressional District seat against fellow Republican David Castillo and Democrat Denny Heck, cannot match either in the arena of ideas, I guess the pettiness and nit picking was bound to come out. First off, what candidate actually writes their own releases? Staff does that. Misspellings are actually quite common, as we often see in the media. But, how petty can Herrera’s camp get that after her inability to state a position on an important matter to a Latino Youth Group she recently appeared before, who wouldn’t state a position on immigration until after goaded into it by bloggers, they target something as pitiful as a staffers mistake in spelling? 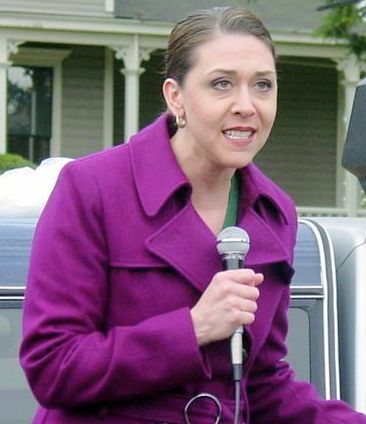 More and more Herrera shows she is far from ready to represent Washington States 3rd Congressional District. We do not need such pettiness. Nansen Malin ought to be ashamed of herself for resorting to such pettiness. In light of the passing of long time West Virginia Democrat Senator, Robert Byrd, who is well known for having many structures, buildings, roads, and other projects named after him, Jim Geraghty of National Review Online tells us a witty tail of Fred Thompson traveling with Trent Lott and noticing so many buildings and such named after the former Mississippi Republican Senator and how it appeared that he missed one, when they drove past a school with a different name. Gotta love a candidate with a sense of humor. By now those names ought to be easily recognized as the top 3 choices we will have to choose from to replace retiring 6 term congressman Brian Baird, from Washington States 3rd Congressional District. Of course, two of the three will advance after August onto the general election in November. No other candidate comes close to any of the 3, so they are not going to be considered in this post. Two are Republicans, David Castillo and Jaime Herrera and one a Democrat, Denny Heck. While it is conceivable that the 2 Republicans could both make it in our top two primary, it is also very doubtful that will happen, leaving us undoubtedly with Denny Heck representing the Democrats and either David Castillo or Jaime Herrera representing the GOP. Herrera enjoys large party machine establishment support, which hasn’t been fairing very well so far in other states primaries. Castillo, on the other hand, has been in the race the longest of any candidate, having entered many months before Baird decided not to run for reelection. 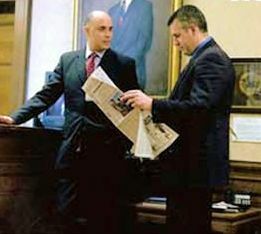 Herrera only entered after Baird announced retirement and then, less than two hours after the announcement became public. Although a bipartisan bill, it is highly controversial due to heavy opposition within the country to any form of amnesty proposed to Illegal Aliens, but is also a matter of importance to Hispanic students, such as the Latino Youth forum Castillo, Heck and Herrera attended. It is incomprehensible to me that a candidate who thinks she is ready to be elected to represent citizens of the state would go to a Latino Youth forum and not have read something of such grave importance to that group, regardless of her stand. Such phrases are often little more than “politi-speak” meaning they have no idea about it, or they are not willing to reveal their stance on it. Given Herrera’s history of vagueness on other issues of importance to voters to date, I tend to think it is something she has little or no clue about. On Denny Heck he said, “Heck sounded themes unusual for a Democrat,” telling me that Heck, like most Liberals, campaign moving towards the right to be elected and all too often, as we have seen, move back left if they succeed in winning. Republicans have a real good chance of recapturing the 3rd Congressional District seat this year by selecting a candidate that is knowledgeable on the issues of importance to all of us. Vague non-committal stances do not win elections. Castillo has consistently taken strong and clear stances as has Denny Heck, although I see Heck’s slightly right of center comments more as pandering than his true stand. Jaime Herrera continues to answer direct questions with vague platitudes, trying to either hide her inexperience, lack of knowledge or her actual stand. Is that what we want, someone who is looking to be a career politician and seeking the fast tack to the top? There is absolutely no doubt in my mind that David Castillo remains the conservatives best bet in recapturing this important seat representing Washington States 3rd Congressional District. Agree or disagree with him, at least you know what his actual views on the issues are. 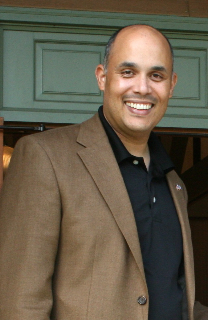 A Supporter States: Why I’M Endorsing DAVID CASTILLO For Congress! Why I’M Endorsing DAVID CASTILLO For Congress! Hi. My name is Josephine Wentzel and I am a longtime resident of Clark County, former Political Director for Clark County Republicans, a conservative political activist. I have lobbied successfully for pro-family issues. People, who know me, know that I am a conservative pro-life, pro-family, and pro-constitution and often say that I answer to an Almighty God whom I humbly fear. I first learned of David Castillo when my longtime friend Danielle Turrisini, a conservative activist featured on CNN, had introduced me to David with hopes that I volunteer for a presidential campaign. I agreed to help and took on the challenge. At this point, I never even met David in person but spoke to him on the phone a few times. Although David was running a campaign regionally, he was always accessible and appreciative of his volunteers. One day I told David on the phone that I would like to be invited to the presidential inauguration and asked if he would get me an invitation. David without hesitation gave me his word that he would try his best but added that there were no promises as invitations were limited per state. I didn’t give it another thought and imagined that this meant I probably wasn’t going to get an invitation. After the election and shortly before the presidential inauguration, I received a call from the Washington State Republican Party stating that I had an invitation to the presidential inauguration! David Castillo, a man whom I never met, who gave me his word on the phone, had actually followed through! It was at this point that I knew David Castillo was definitely a man of his word and could be counted on. However, this was not the only deciding factor for me to publicly endorse David. It was when I learned that Dr. Joseph Fuiten (Founder of Washington Conservative Leadership group, commentator, well known minister / activist), and Christian Coalition Director Rick Forcier, amongst other great conservative leaders, had endorsed him! For these well-known honorable, hard working men to come out BEFORE a Primary to endorse someone is HUGE! It says that David is a man of integrity, of honor and a man of his word. I know that the conservative leaders in this state would never put their names next to David if he was not a man of honor! MAKE YOUR VOTE COUNT IN THIS RACE: JOIN ME IN VOTING FOR DAVID CASTILLO!